Halloween is around the corner and that means that my nephew's birthday is coming up too! Emery is so sweet and 3 years ago I made him a Frankenstein's Monster Hat for his birthday and he loved it so much that he has completely worn it out and he's wanting another one! That makes me feel so special and happy that he has enjoyed it so much and now wants another one to wear! So, I looked back through my pattern notebooks from 3 years ago. There was a lot to go through lol and I finally found where I had put the notes to Emery's Frankenstein's Monster Hat and I was so disappointed that I really didn't write the pattern down, just some notes. Oh well, so I looked at the pics and the notes and this time I wrote down the pattern and now I'm sharing it with ya'll! Scroll down for the free pattern or click here to purchase the pdf. I think he's going to love it as much as his first hat! Emery's birthday isn't until later this month so my son, Isaac did some modeling for me and we had a bunch of fun. 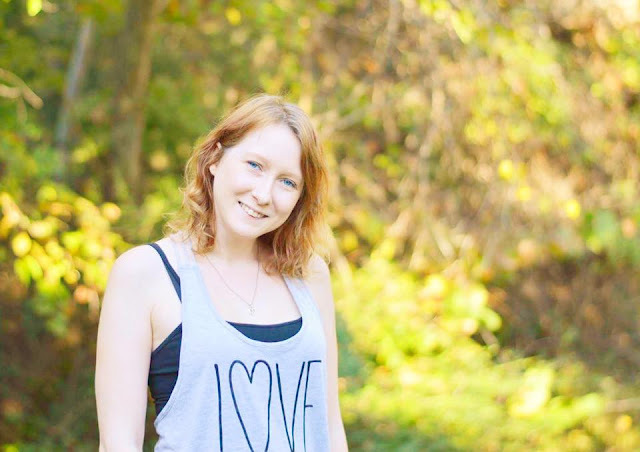 And Isaac wanted to take a picture of me! cc: color change (Yarn over, insert the hook into the next stitch, yarn over and pull through. You will have 3 loops on the hook. Yarn over and pull through the first 2 loops on the hook. Yarn over with the new color and pull through the last 2 loops on the hook. Insert the hook into a stitch into the back of the hat. Ch 1 and sc into each stitch along the back, sc along the ear flap, sc into each stitch along the front of the hat, sc along the other ear flap, and sl st to the beginning sc or make an invisible join. Cut the yarn leaving a tail long enough to sew to the ear flap. Make 1 more bolt and sew them to the ear flaps. 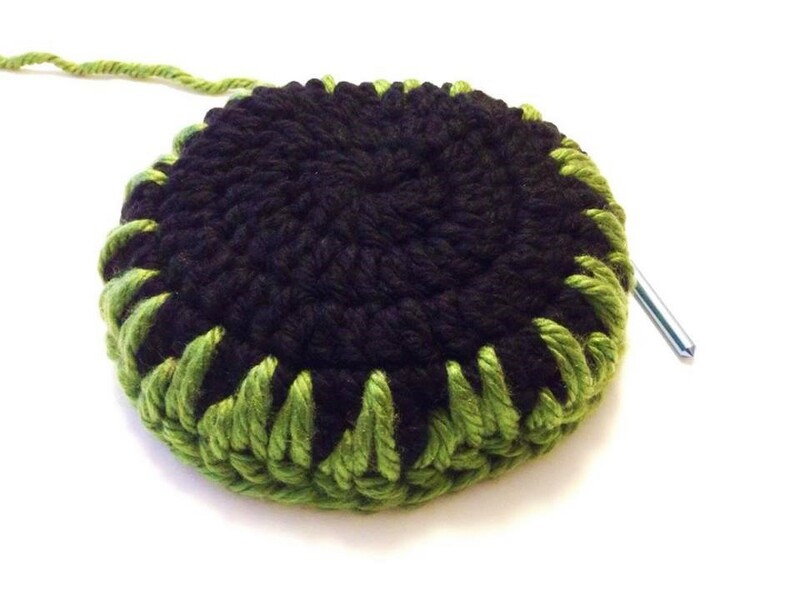 Cut strands of yarn in the green, black and gray yarns and thread through the ear flaps. Braid the strands and use another piece of yarn to secure the braid. If you LOVE this pattern you can click here to purchase the pdf. I hope ya'll liked this free pattern and my video tutorials! If ya'll make your own Frankenstein's Monster Hat I would LOVE to see! Post pics on instagram with the #frankensteinhatwithalex or you can post pics on my facebook page. 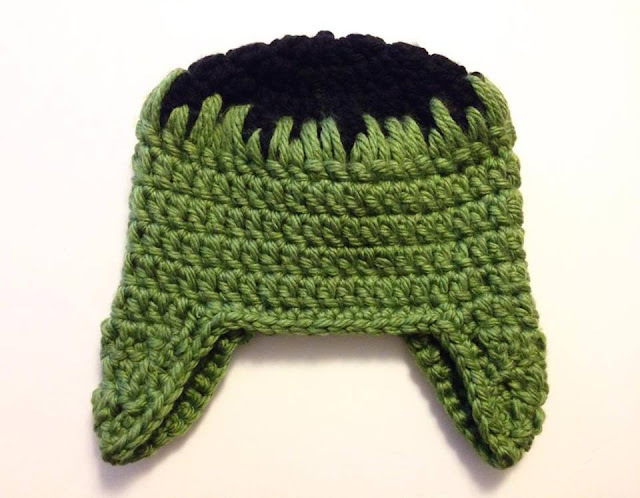 I can't wait to give Emery his Frankenstein's Monster Hat on his birthday! Scroll down for the video tutorials on How To Crochet The Spike Stitch and How To Make An Invisible Join. 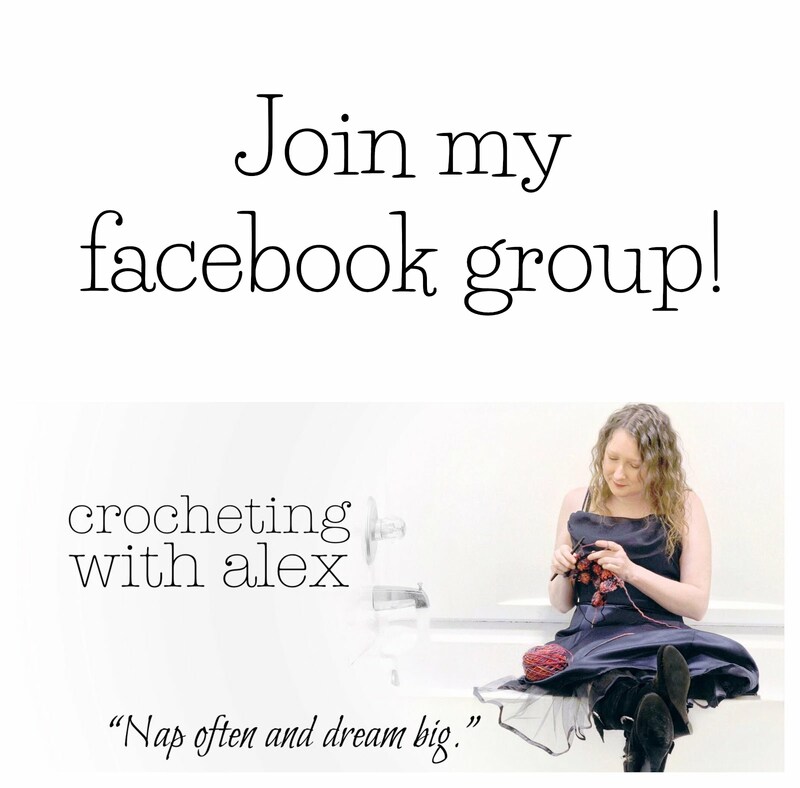 If you need help with any other stitches, check out my youtube channel. If you haven't subscribed to my youtube channel, subscribe now so you won't miss anything! I tried the free pattern from your blog for my 9yo nephew. I am not new to crocheting and knew what I was doing. It will barely fit my 1yo nephew. Your paid Craftsy pattern says size "Youth-Adult Small", so I paid for that assuming it had bigger sizing options, however it's identical to this free pattern, and leaves me with a tiny hat. I'm sorry you are having problems...This is not a new pattern and a lot of people have used this pattern with no problems. What kind of yarn did you use? The pattern calls for Hometown USA which is a #6 bulky yarn. If you used anything thinner than that, it would come out small. If you ever have any questions, I will help out as much as possible. A Witch Hat For My Kitty And Free Pattern! Black Cat Hat Free Crochet Pattern! Crochet Cat Ears Video Tutorial And Free Pattern!